Today I have a brief review of the new GLOSSYBOX for the U.S. If you don't know about GLOSSYBOX, here is what it is. 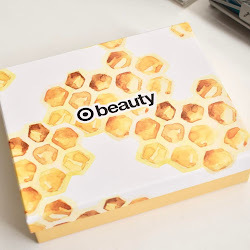 Each month, they send a beauty box to your home, which includes five of the latest and most exciting beauty products from around the world. GLOSSYBOX is currently operating in over 18 countries worldwide, and now GLOSSYBOX is finally launching in the US. When I was contacted by GLOSSYBOX to receive a box to review, I was really excited to see what exactly is included in the box. There are things to consider about this box, which I will talk about.. So like I said before, there are things to consider with this particular box. This box that I received from GLOSSYBOX has 5 full size products. If you are to subscribe with GLOSSYBOX, you will receive 5 products in the box and at least one of those will be a full size product. I want to make sure that it is clear how this box works.I wasn't sure to even sure to post what was in this box being that it is not something that will be seen in future boxes. I just wanted to make sure that it is known about GLOSSYBOX. I loved 3 out of 5 products. The OPI nail polish, The eye gel, and the Kryolan lip gloss. I was allergic to the body lotion and the CARGO EyeBronzer was messy and got everywhere. Also, the price point is kind of driving me crazy. This is one of the most higher priced sample boxes, being $21 a month. I personally have not subscribed to any monthly sample boxes, I just can't commit. I was willing to pay the money for a GLOSSYBOX like this one before, but one with 4 samples and one full size product? No way. Too overpriced. I will not be subscribing. What a bummer because I love the packaging. If I do, it will have to be some amazing samples and products that will blow me away. I think it's great that you posted so people will know that what they see in the box (for full size products) is not what they will receive in the next one. Thank you! I'm not sure they could actually charge only $20 for 4 full size products (although it would be grand). I subscribe to Green Grab Bag and love it. 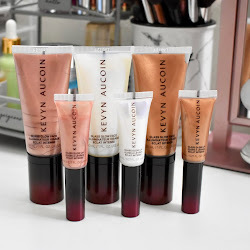 Even though the samples are small, I have found many great products and purchased full sizes...and would have never known about them had it not been for the sample sizes...so for ME, it's worth it, but I understand it's not for everyone. i actually think they are really good value, especially here in the UK. 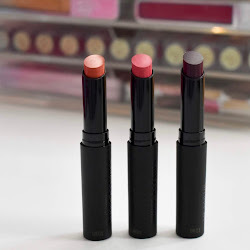 the price for a normal full size product is more than the box, and although i guess you wouldnt be actively going out and buying the products i think its a really good way to test things out for a good price.